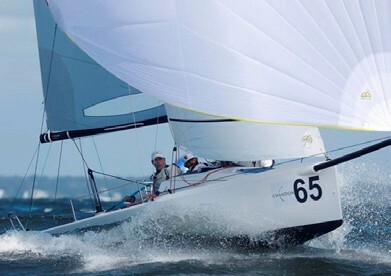 The 2017 North American Championship Presented by Domaine Chandon was hosted by American Yacht Club in Rye, NY October 9 – 15, 2017. 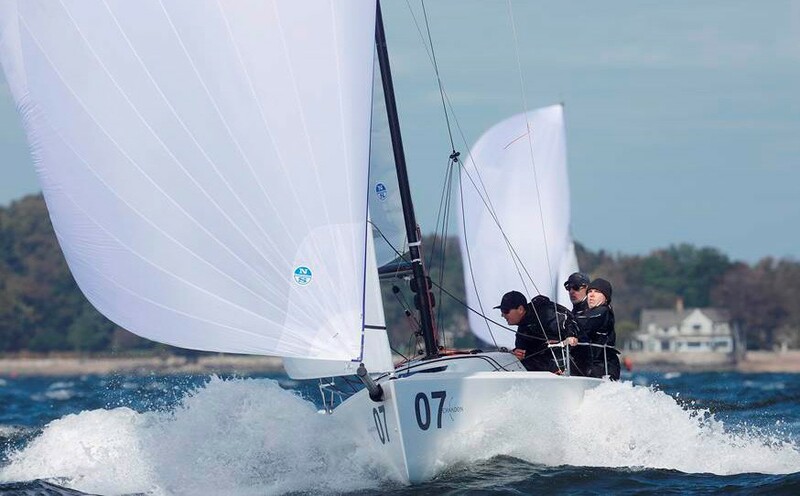 AYC Commodore Peter Duncan and the Relative Obscurity team (Rye, NY) controlled this regatta from day one. Not surprising, coming off a world championship title. But there was a twist to the plot. Joel Ronning’s Catapult (Excelsior, MN) never fell very far behind in points, always lurking in the shadows, ready to pounce. And pounce they did. A bullet in the final race, coupled with a 10th place finish by Relative Obscurity, was enough for Catapult to clinch the title with a 3-point cushion. Conditions on the final day were challenging. A new wind direction with varying intensity made for a tactician’s nightmare. 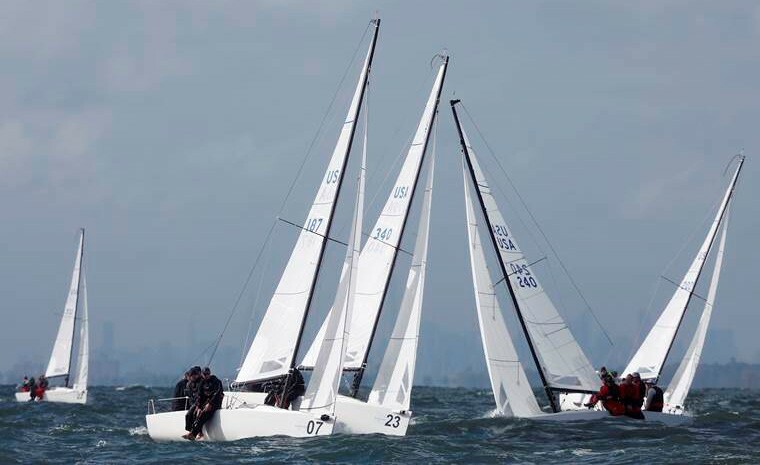 Credit to Bruce Golison’s Midlife Crisis (Long Beach, CA) for staying in the hunt and finishing 3rd overall with line honors in race seven. This was not an easy task with Brian Keane’s Savasana (Weston, MA) and Martin Kullman’s New Wave (St. Petersburg, FL) right on his heels. The Corinthian title was no easy achievement either. The lead swapped multiple times throughout the day, but Jenn & Ray Wulff’s Joint Custody (Annapolis, MD) prevailed, finishing 14th overall. Sarah Renz’s Berteau Group (Chicago, IL) and Joe Bardenheier and Heather Gregg’s Muse (Newport, RI) completed the Corinthian podium. Despite the intensifying wind as the regatta concluded, American Yacht Club hosted a wonderful awards presentation with crystal and framed photographs as prizes. Lead Sponsor Tanqueray took center stage, as tired sailors relaxed with their signature gin & tonics. What a fantastic regatta it was. And it would not have been possible without the generosity of Presenting Sponsor Domaine Chandon; Lead Sponsor Doyle Sailmakers (who generously shared their expertise with all competitors); Supporting Sponsors Landfall, Greatest Blaze & Co., Coral Reef Sailing Apparel, and Sail 22; and additional sponsors Captain Lawrence, Don Julio, Captain Morgan, Bulleit Bourbon, Watson’s Catering, Summerties, Anne Arundel Dive Services, and Poland Spring. Full results are posted at YachtScoring.com, and photos and videos can be viewed at facebook.com/americanycregattas.